World peace is about the countries in the world living in harmony with each other; it is about people in the world respecting and loving each other in spite of their differences. We yearn for global peace, but for many centuries, it has always seemed to be far-fetched and unachievable. Due to differences in opinions, culture, resources, religion, politics, and language, people from different backgrounds are bound to always have disagreement and countries are bound to clash with each other. Small feuds have led to big wars and to loss of thousands of lives. Also, countries who have tried to settle their disputes amicably have found themselves going back to war with each other time after time. There seems to be no answer to how to achieve global peace, but there could be an answer in the practice of tolerance. Tolerance according to the Oxford dictionary is the ability or willingness to tolerate the existence of opinions or behavior that one dislikes or disagrees with. Therefore, I think we can define tolerance for global peace as the ability and willingness of citizens of a country to tolerate the existence of citizens of other country’s opinions, culture, religion, politics, and language that they dislike or disagree with. What are the advantages of practicing tolerance with each other? Practicing tolerance with others brings out more kindness and goodness in us that goes a long way in boosting our inner peace and state of mind. Tolerance makes you wish others well, which is one of the definitions of being a better person. War will be non-existent in a world where people practice tolerance with each other. When we are willing to tolerate the things we don’t like about others, we can easily overlook their shortcomings and mistakes. Tolerance makes people attacking each other impossible. You will agree with me that it feels good and peaceful when you hold no grudge and have a positive attitude towards everyone. This is what you get by practicing tolerance with others. Once we are able to tolerate the things we don’t like about others, we open doors to learning about them and learning from them. This could in the long run make us start liking the things we did not like about them in the first place. 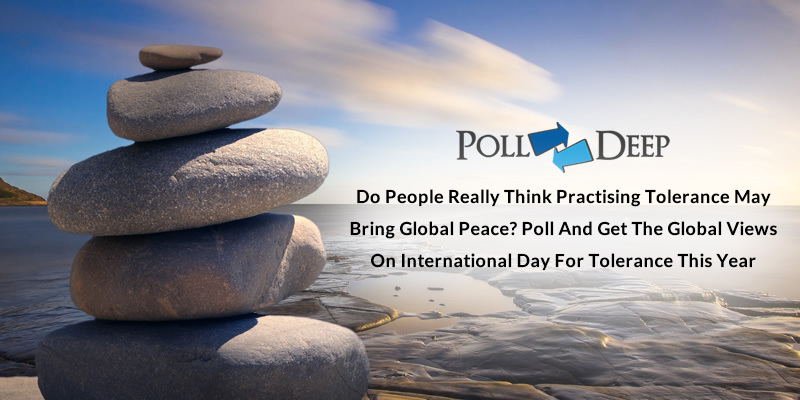 Tolerance is no doubt capable of bringing about world peace; however, to know if the people in various countries of the world share the same view or not, polls or survey has to be carried out. Is practicing tolerance possible or feasible for everyone in the world? Is practicing tolerance the only way to world peace? Is it possible to achieve world peace through tolerance?